Deneen Borelli is an amazing lady. Her biography even more so and her cause of reaching out to Black Conservatives is one of courage and deserves profound respect. Deneen started out as a runway model, starring in commercials, as she worked her way, for 11 years to obtain her Bachelors degree. I see that in terms of ‘where there’s a will there’s a way,’ and she did it! Her corporate career started with Phillip Morris and headed in the direction to Produce and co-host a radio show called The ‘CORE’ Hour. (CORE stands for Congress of Racial Equality). Now she speaks to thousands whether is at tea party rallies, Fox News, “Hannity”, “O’Reilly”, or speaking with Glenn Beck, and on behalf of Freedom Works as Outreach Director, a grassroots organization that educates, trains and mobilizes volunteer activists to fight for limited government. 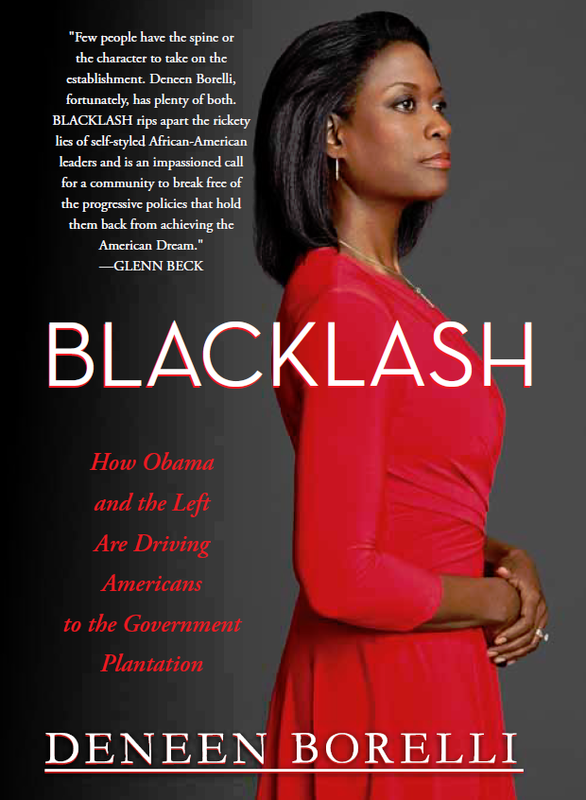 Deneen is also the author of “Blacklash: How Obama and the Left are Driving Americans to the Government Plantation.” As one reviewer wrote Deneen “gives tough love” about what is going on in the black community, not only going after the Democrats, but Republicans as well. Read more and watch the full interview here.